In stock at Walmart.com on 3-13-2018. 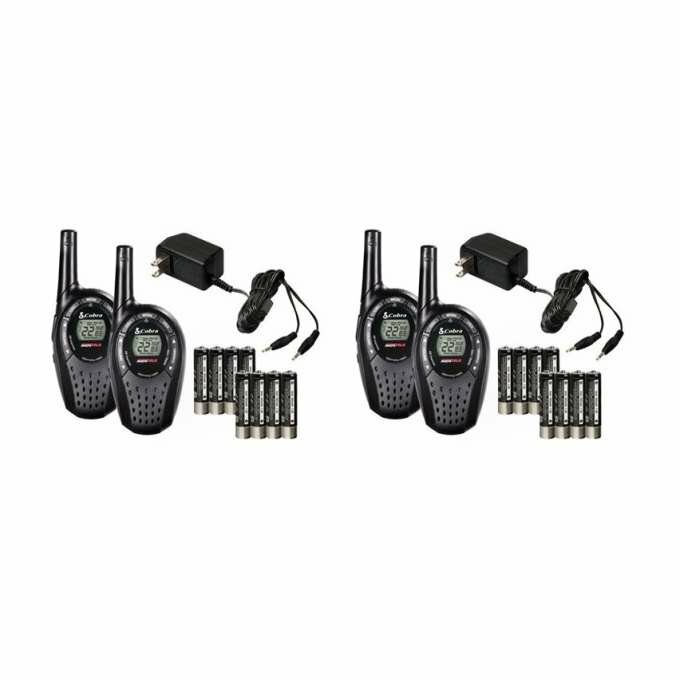 2662 Channel Combinations: Available when the 22 channels are combined with the 142 privacy codes (38 CTCSS/104 DCS), these combinations prevent interference from other radios. NOAA Weather and Emergency Radio: Be prepared for storms and emergencies with the built-in NOAA radio receiver providing coverage of all government operated weather channels. Battery Saver Circuitry: A unique circuit extends the life of the batteries. If there are no transmissions within 10 seconds, the unit will automatically switch to battery saver mode. VOX: The user's voice is detected and the radio transmits without the need to press any buttons, freeing hands for other tasks. 5 VOX sensitivity levels allow the user to select at which point the radio will detect their voice. Scan Feature: Allows the user to scan either channels or privacy codes within a channel to locate conversations in progress. Speaker/Microphone/Charger jack- Allows use of wall charger, or earphone speaker/microphones (not included) for hands-free inch operation.